This book is causing me to have violent urges. I want to beat both main characters to death with a ball peen hammer. The main conflict in the story is contingent upon a misunderstanding that occurred ten years before and could be resolved with a simple conversation that the two should have had within ten minutes of reuniting. Not only that, but this misunderstanding happens because the two characters implicitly trust what another, thoroughly untrustworthy character tells them. Neither likes or trusts this third character, but for the sake of the main conflict they trust him over each other. Both are portrayed as intelligent accomplished people, but I'm 3/4 of the way through now and they still haven't had the one conversation that would resolve everything. While I'm aware that a quick resolution would make this a much shorter book, I'd be fine with that. This book would be too long at two pages. Keith Olbermann would probably quite candidly admit that he is given to hyperbole and bouts of hysteria, especially when it comes to the topic of our 45th president. 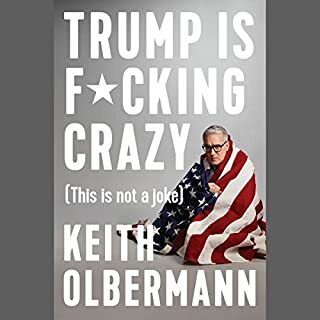 That said, this collection of transcriptions of Mr. Olbermann's video commentaries for GQ following the latter days of Trump's campaign and the first 7 months of his presidency are invaluable. This past year has been an unending tide of outrages and tragedies, and they pile on top of one another so quickly that you find yourself forgetting what happened just two months ago. Even now, as our nation is still reeling from the Las Vegas shooting, the events of Charlottesville seem like ancient history. IT WAS TWO MONTHS AGO! This collection details the offences of President Donald John Trump as they happened, and it is by no means comprehensive. It is simply not possible for one man to keep track of everything that President Trump has said or done in the last year. Regardless, this is a good place to start. I recommend buying a copy for every single Trump supporter on your Christmas list. Then I recommend sitting on them and forcing them to listen to it. 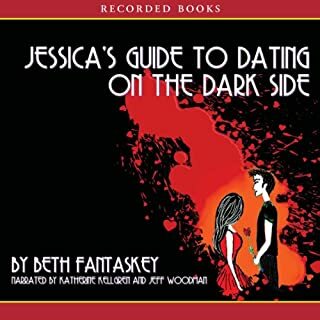 Author Beth Fantaskey injects a little humor into the vampire romance genre with this critically acclaimed debut novel. High school senior Jessica Packwood is a down-to-earth mathlete who's not sure what her future holds. What she definitely doesn't see coming is foreign exchange student - and vampire - Lucius Vladescu showing up at her door. According to Lucius, Jessica is actually vampire royalty, and they've been betrothed to one another since infancy. A smart, headstrong teenage girl changes everything about herself to please a troubled, potentially abusive man. 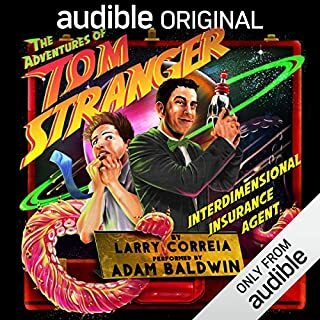 Short and sweet, like a crotch punch from a stripper, this comic novella from master storyteller and bon vivant Larry Correia is a hilarious adventure starring the most dedicated and noble insurance agent in the whole of the multitude, Tom Stranger. Think you're in good hands? Think you have a good neighbor? No one offers better protection than Tom Stranger. The gags fly faster than the fists and the fists are flying pretty fast in this lightning paced story. Don't think, just hit the download button now. Oh and kudos also to narrator Adam Baldwin. I loved you in Chuck. 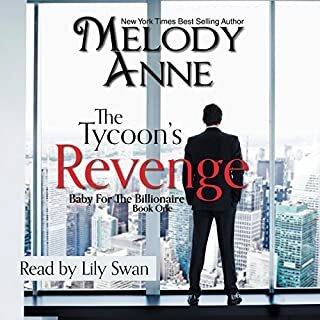 Technology to accurately and clearly record voices has existed for over 100 years now, but clearly none of it was used in the creation of this audiobook. 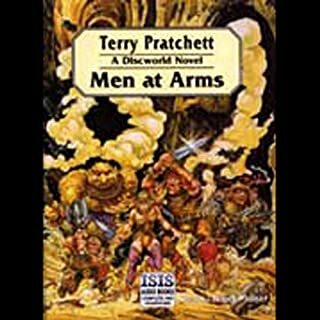 Terry Pratchett's Discworld novels have been my favorites since I discovered them in high school, and Isis audio's productions of them are a travesty of the sort that Bloody Stupid Johnson scattered about Ankh Morpork. The Narrator's voice fades in and out of clarity, the volume raises or drops without warning or reason, and tape hiss is so loud as to drown out the narrator entirely in some spots. Terry Pratchett was one of the best authors of the last half century, and his creations should be given better treatment than was done at the hands of the cretins that produced this. Comedy is hard. Prose is possibly the worst medium to try and be funny in. Only a handful of writers manage to be consistently funny. With this novel, Scott Meyer joins that august body. 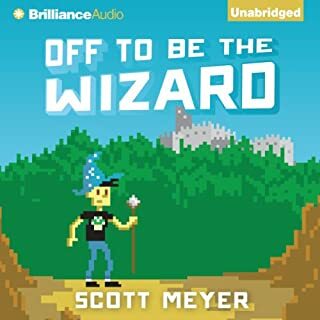 Off To Be The Wizard is the most original and funny humorous fantasy I have read in years. I tip my cap to you sir, for the hours of laugh out loud adventure you have provided me. In case you're wondering, the obvious joke is one of Nanny Ogg's favorites. Oh and kudos to the narrator too for providing the perfect voice for every character. Ellie Garrett never planned on being a divorced, single mother - she also never planned to get married again. Ever. Her ordinary life changes when the house across the street is sold. The new owner is Nick Coulter - quarterback and MVP for the Sacramento Defenders. Oh yeah, he's also one of People magazine's top 100 most beautiful people and America's most eligible bachelor. So why would she pick him to have her first crush on since her divorce? First off, this is a romance written to appeal to Christians. I was unaware of that. Even so, I've read Christian fiction with engaging characters and storylines that hooked me from start to finish. This is not one of those books. 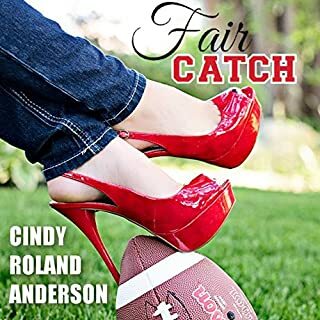 The characters are two dimensional, the romance is founded on nothing more than looks and shared faith, and the non Christian characters are all hateful caricatures of human beings. No. Just, no.